Well Hung Joinery WHJ is a Wellington owned company, located in Ngauranga, Wellington. They have been a leading provider of quality timber joinery, kitchens and cabinetry since 1999. Shine design was originally asked to generate some computer illustrations of their wooden entrance doors and windows for their website. More work followed included a brand revamp, kitchen booklet, a set of six different product brochures and a presentation folder. Project: A re-branded the overall look for Well Hung Joinery. The new brand was applied to the business cards and a set of seven brochures advertising their products and services. Format: Kitchen product booklet 16 page A4 booklet saddle stitched. 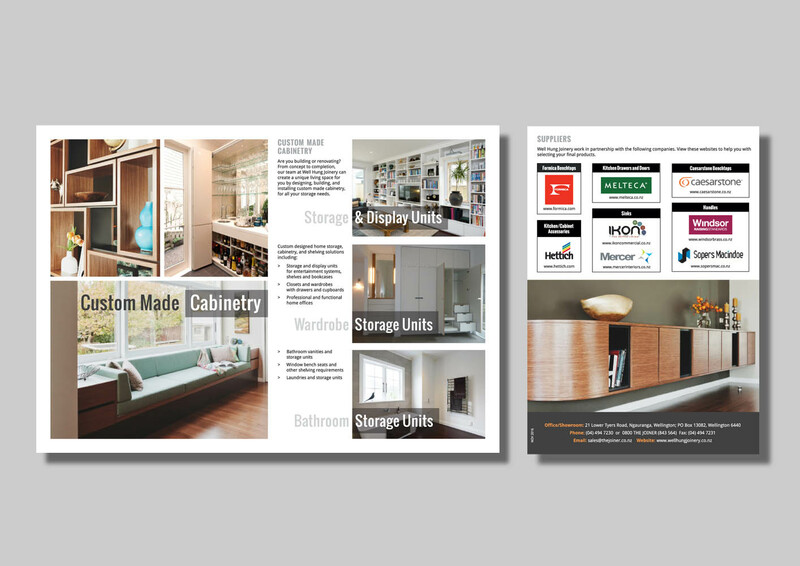 Brief: To design and build a booklet advertising the high-quality kitchens that they design and build. The client wanted the layout to be simple and clean cut. 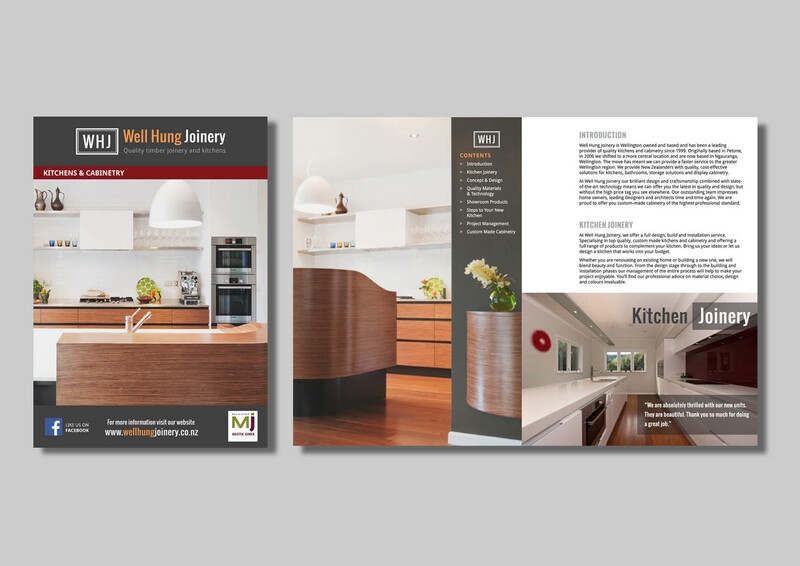 Solution: The booklet we clean cut and stylish, the pages were broken up with solid blocks of colour text and professional images displaying the kitchen WHJ had designed and built. The products and services included timber windows, bi-fold/sliding doors & windows, retro double glazing, entrance doors, and kitchen & cabinetry timber french doors. I also created the computer illustrations for the timber windows and doors.